Sometimes, saying goodbye is painful. 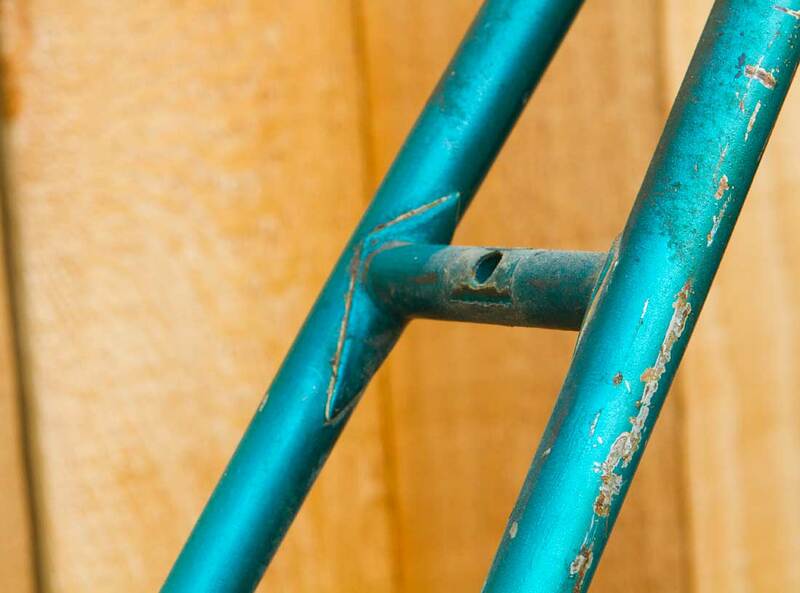 In the world of vintage bicycles, there are a numbers of ways to say so long. 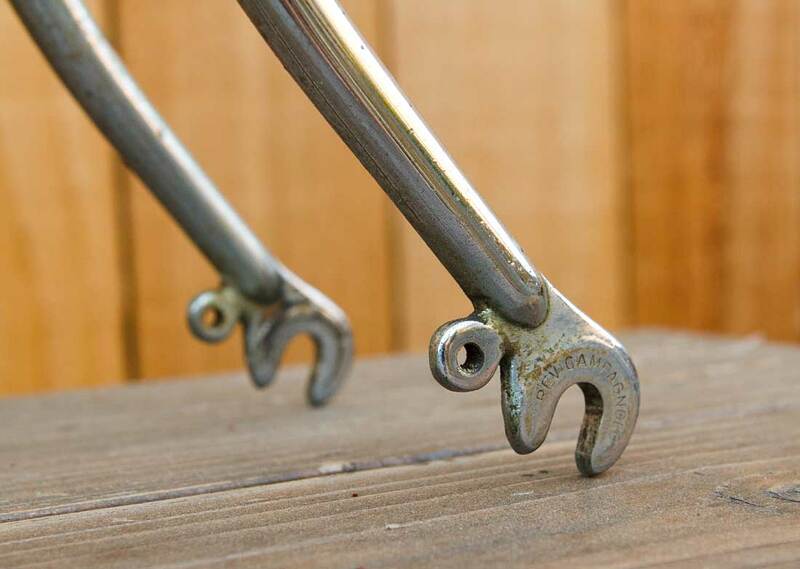 After many, many decades, a steel frame may fail to the point where fixing it doesn’t make sense. 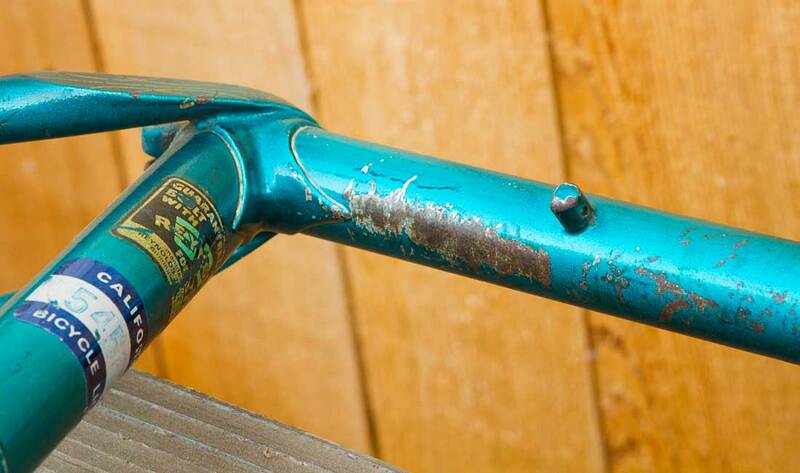 A frame may be involved in a crash, rendering it damaged beyond repair. An reliable old friend may be sold and the relationship ended. Or, such as this case, what was once a high-end frame adorned with flawless, vibrant paint, razor sharp decals and expertly done lug lining, has now decayed into only a shell of what once was on the outside. It has been said that the honesty of wear is a robe to wear with pride. And sometimes, this is the case. 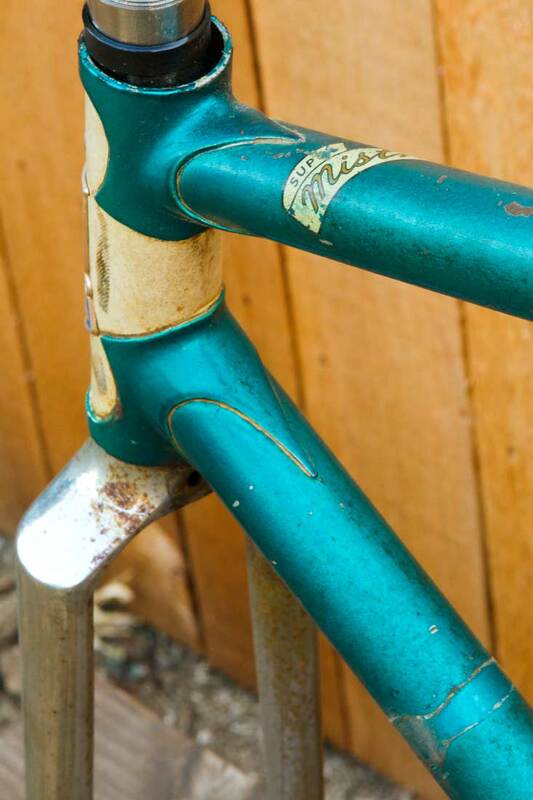 But, sometimes, the “patina”, as often this noble badge is called, is simply too far gone. Large portions of exposed metal, cracked and heavily worn decals, barely readable and significant surface rust are all fairly good indicators it may be time to wipe the slate clean. Some hang on to the history though. And those who do this deep restoration, I can respect for the painstaking amount of work applied. Beginning by gently cleaning the entire frame with only the mildest of soaps and softest of sponges dipped in warm water. Being more delicate than a mother is when she sponges off her child. These warriors I admire but for this wonderful frame, as painful as it is, I must say goodbye. Goodbye to the decades of chapters written by stripping off the old paint and laying the foundation of anew. But, as I hope I have made clear with my images, the mounting evidence to me is clear. This frame needs some love and it must start fresh. But before the excitement of choosing a new color comes, the least I can do is honor this steed’s past by showcasing how it looks, fully torn down. The color, an electric metallic teal, fairly edgy for 1974, shines through the most in areas where it has been covered for decades. The best example is under the band where the shifter clamp was. This area wasn’t touched by the summer sun, the icy wind, the feet of snow, the salt from the roads or anything else while it lived, outdoors, for many years in the hard city of Chicago. It’s difficult to see it, even in person, but looking at this tiny square of untouched paint makes one wonder how this machine must have looked in all its glory, fresh from the factory in 1974. There is one area of this Holdsworth that is especially unique. 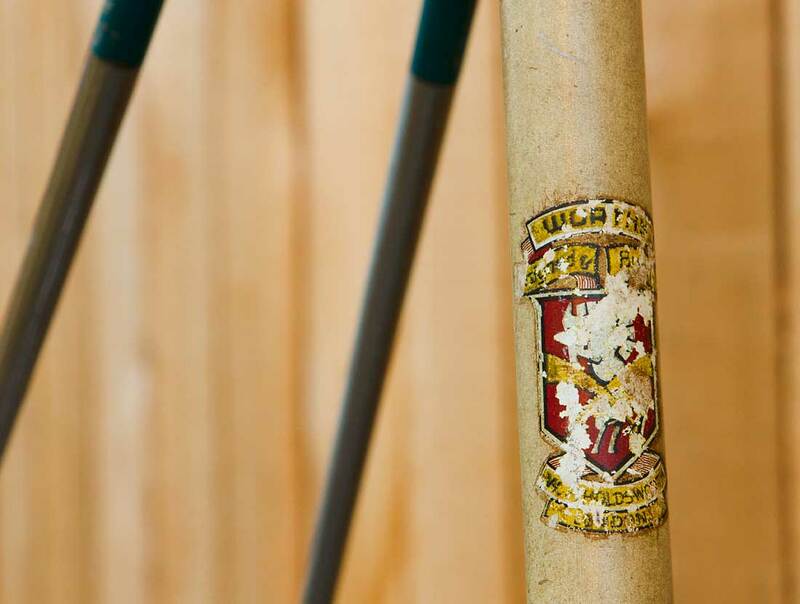 On the top tube, near the head tube, is a stately and regal “Super Mistral” banner. This isn’t something any of the decal vendors I spoke to have in stock, nor have they seen. Nobody I’ve talked to seems to have ever seen this before. Clearly it was from the factory. Is this a special addition? Perhaps it was only produced this way for one, or two, years? Even the original owner, who purchased it new in Cambridge (UK), didn’t notice this as anything different or special. Also adding to the intrigue is the Holdsworth lettering outline on the downtube, which is hand painted rather than a decal. As one can see, nearly all of the paint inside the lettering is worn off. But it is these types of curiosities and nuggets of special touches that leave me with slight feelings of guilt with my plan to erase it all. But, sometimes, and I say this as I bow my head in respect, in order for something to be rescued, something has to be destroyed. I’ve got a few others cooking as well but this one is going to take some time to do right so I might as well get it rolling. I think it’s beautiful as it is but I can relate. 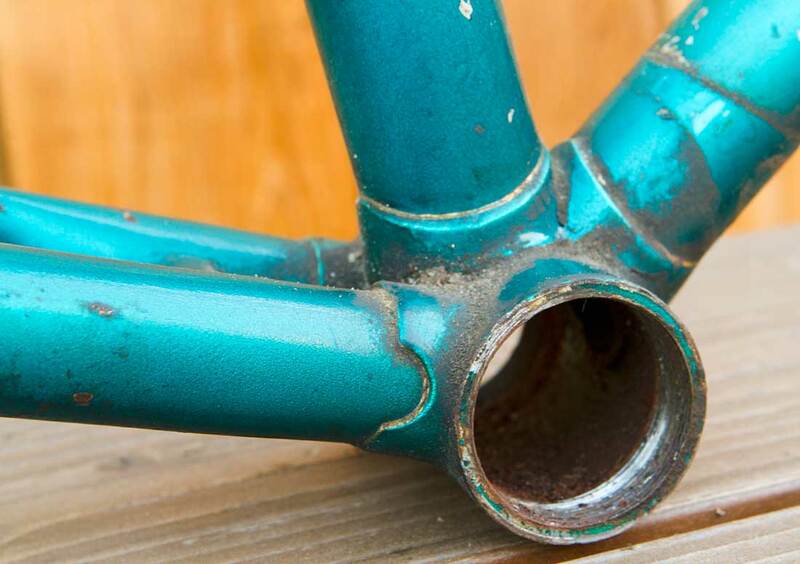 How can one tell if the frame has rusted from the inside so it might brake when used? 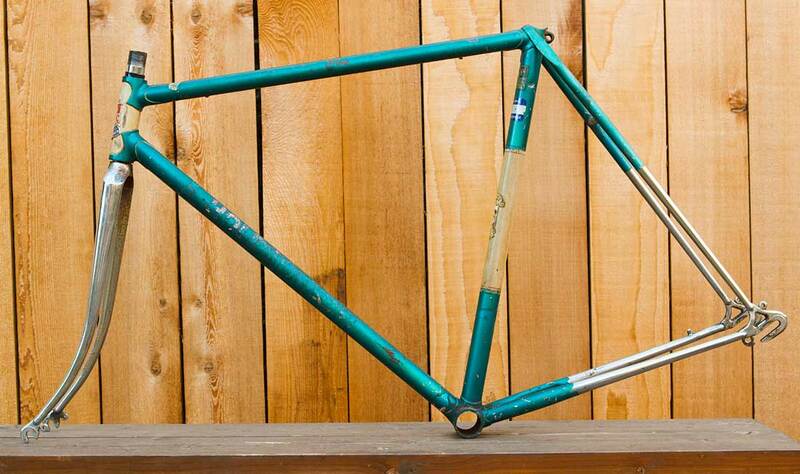 Or isn’t that a problem with old steel frames? There absolutely is beauty in the current state of this frame. There are also some large areas of exposed metal, strong oxidation and rust that I cannot look past either. 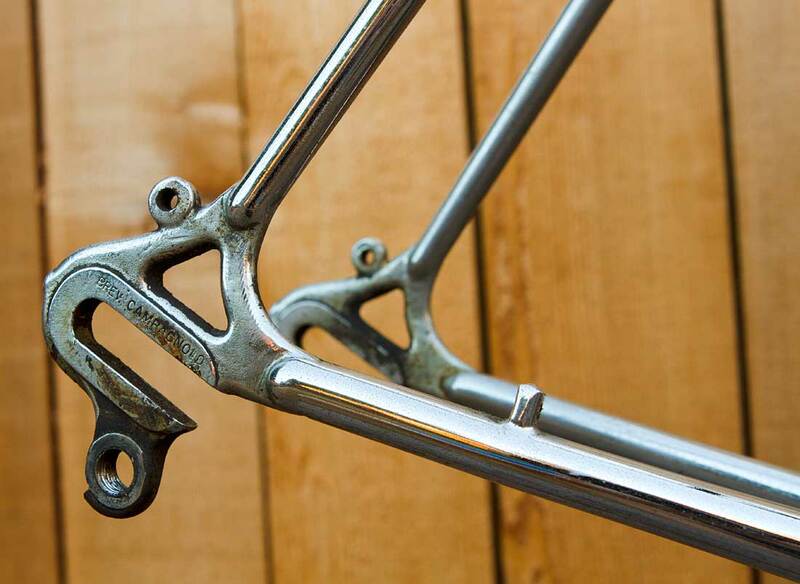 With steel frames, they don’t just break because of internal rusting. 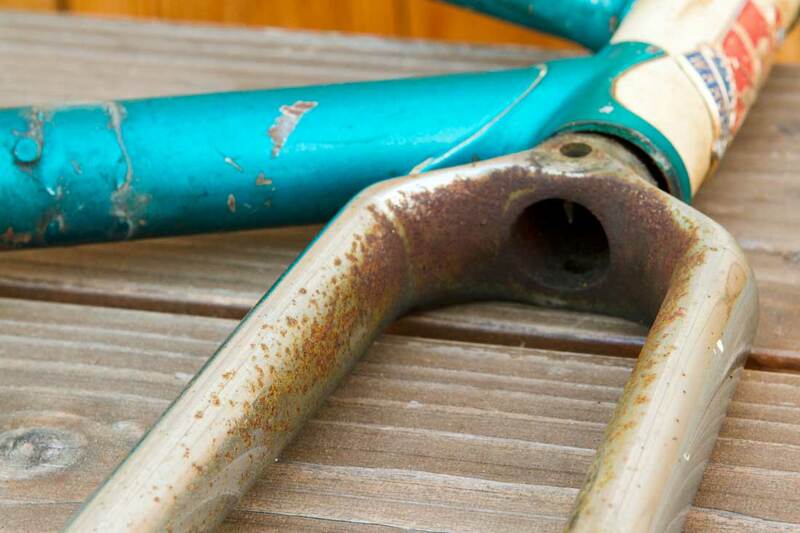 If rust was a problem inside the frame, there are steps you can take to stop the process, remove much of it and inhibit it from happening further. Your best bet would be to search the bikeforums.net website for internal rust removal techniques. From there, you’ll get all you need for next steps. If I remember it right, Shiva is both the God of destruction and creation, as one is unextricably linked to the other. I just acquired a Super Mistral fastback frame no. 31941, but alas no fork. Mine is one color forest green, no contrasting panels. 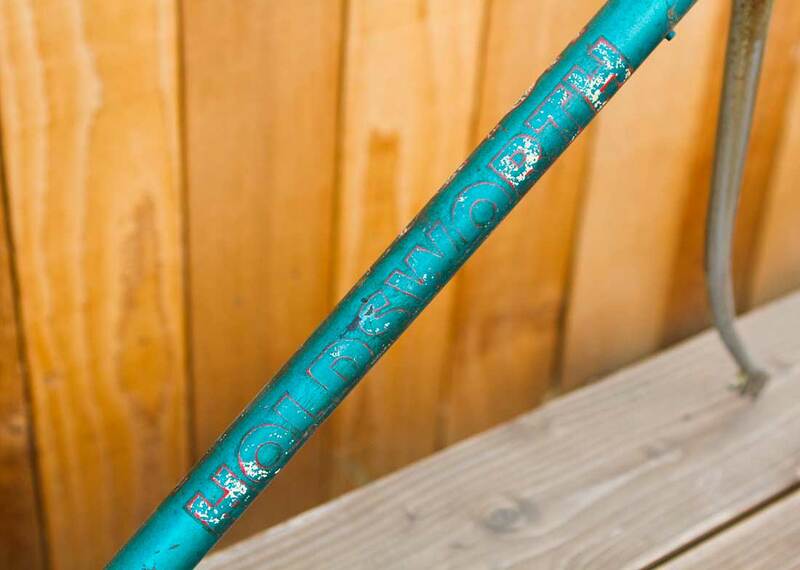 It also has the Super Mistral decal on top tube but not in as good condition as yours! Maybe we can collaborate on a reproduction of it. Get a high res picture of it and record the length and width of it as a start? Thanks for the reply, Gary and congratulations on your acquisition! Fairly final, right? I do already have close-up shots and measurements along with hand drawings. So, if you were to find a vendor willing to discuss it further, please do reach out to me via email by clicking the Contact page to the left. 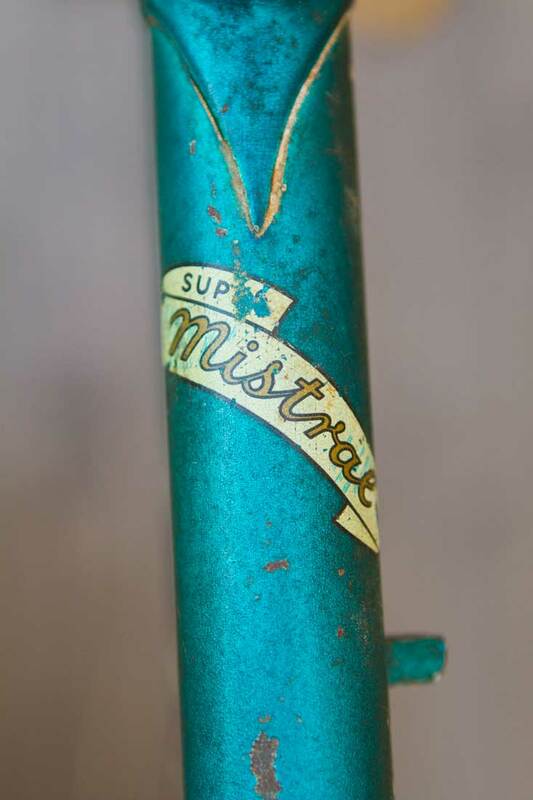 My 1969 Super Mistral has the same Super Mistral label on the top tube. It also has the same chrome forks front and rear. I know it is in original condition, as although I bought it in 1971, I knew the previous owner. Mine is finished in red and light blue. I will send pictures if you wish. I intend to restore mine soon. Thanks for the good information on your ’69. Despite searching for images, I hadn’t found any Super Mistral’s that matched the top decal mine has. You and another individual have come out of the woodwork to confirm there are others. The other individual is further ahead than I am on restoration and was fishing around for someone to replicate the decals (specifically the top decal). If he was successful in having those recreated, this may benefit you as well so please do connect up with me as previous legwork may make your restoration a touch easier. Plus, I’d like to see images of your ’69! This company can probably help with recreating the Super Mistral decal. 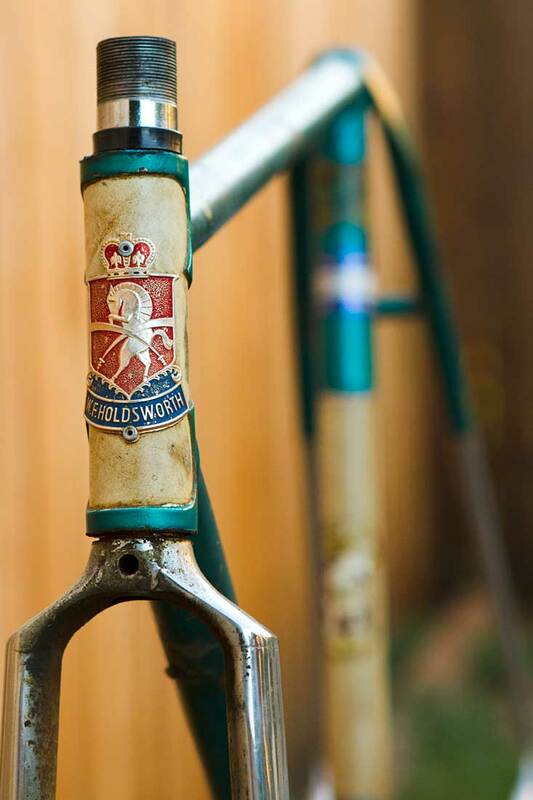 Let me have an email address, and I will send photos of my Holdsworth. 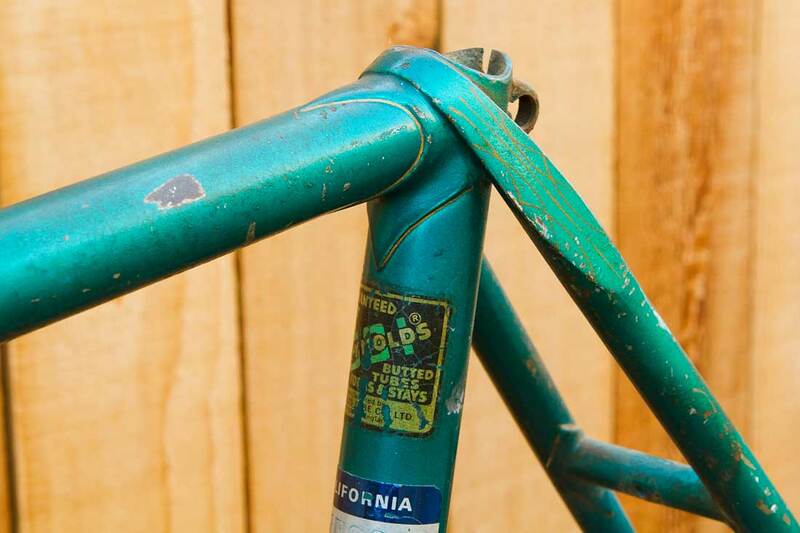 This entry was posted on August 31, 2018 by Josh C. in Cycling Projects, Topics and tagged Campagnolo dropouts, hand painted decals, ornate lugs, patina, Reynolds 531, vintage bicycle restoration, Vintage English bicycle, wrap around seat stay.